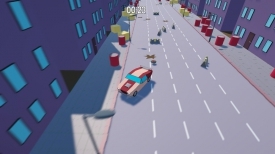 "A driving game where you can't steer!" 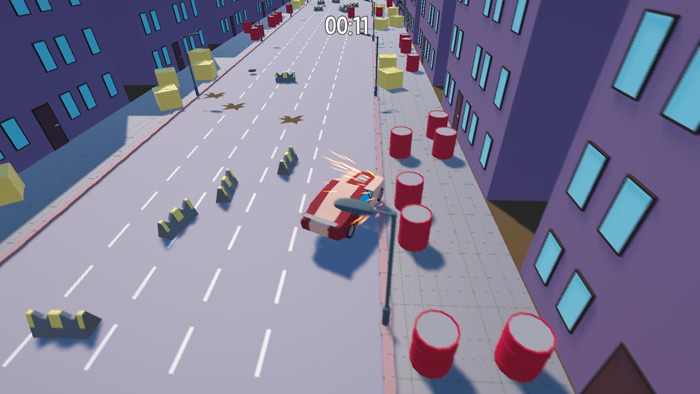 Test Drive 2018 looks pretty good on first sight however it has a very unique selling point in that you can't steer your car, so you have to send your vehicle racing through the town and just hope that it manages somehow to make it to the end of the track within a respectable time. 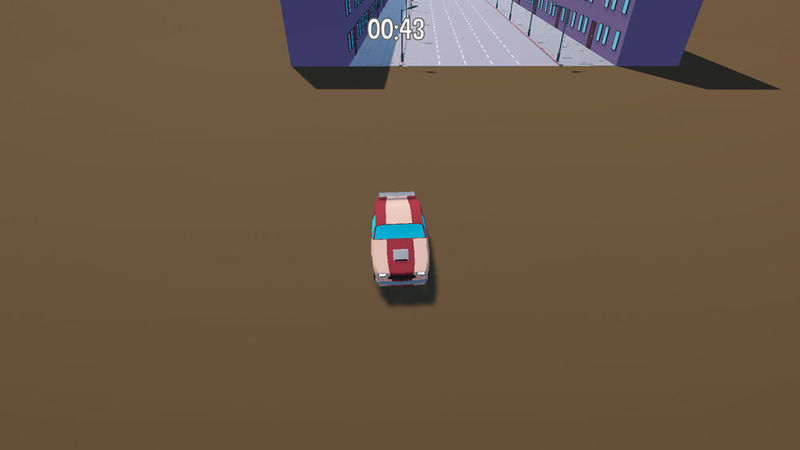 It's quite strange not having control over the car and means that you do not feel particularly involved with the game and whilst it is amusing at first, the car often bounces off walls and spins round then heads off the edge of the game map and in to area of brown nothingness and just keeps driving meaning you have no option to quit and restart and then pray your car doesn't have the same problem next (it often does). 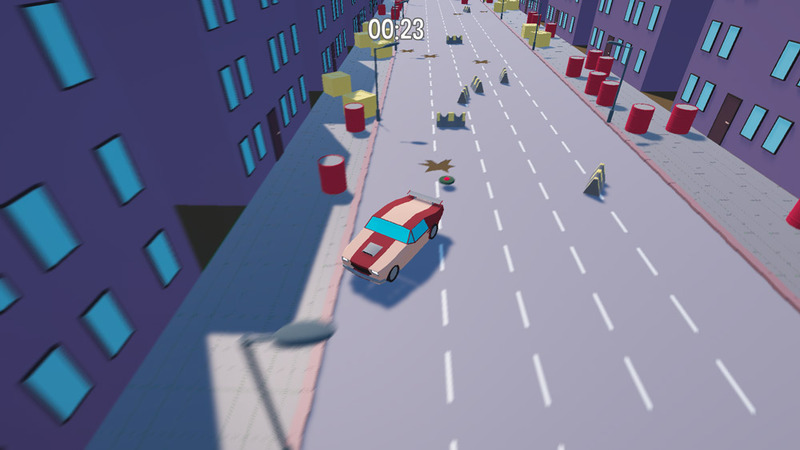 A strange idea for a game that is amusing for a few minutes but not particularly memorable, Test Drive 2018 may have been a practice run for a more in depth game but, is there any point in playing a game where you don't technically play but only observe. The car occasionally blowing up is one of the only redeeming features of the game sadly. You can download Test Drive 2018 here for free.